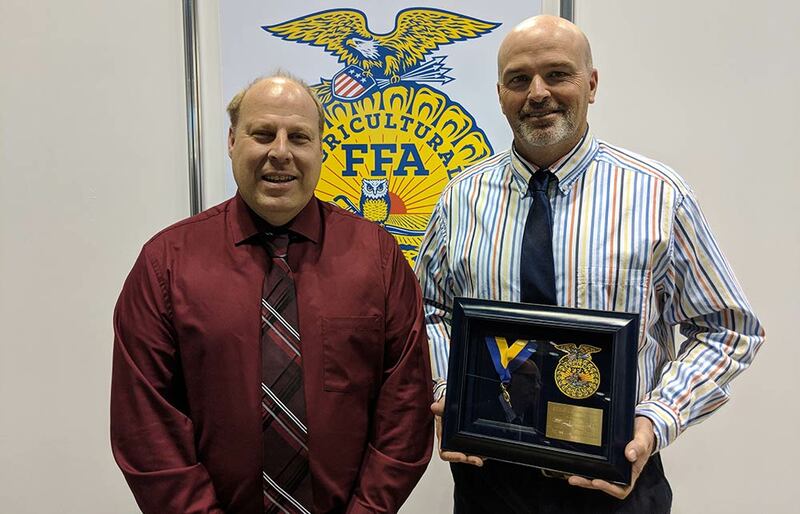 Polk County High School agriculture teacher Chauncey Barber received an Honorary American FFA Degree at the 91st National FFA Convention and Career Expo in Indianapolis, held Oct. 23-27. Barber and eight Polk County High School FFA students attended the national convention, where more than 64,000 high school students from across the nation and from the Virgin Islands and Puerto Rico participated. PCHS students participated in a career expo, listened to motivational speakers, attended leadership classes, a Garth Brooks concert and rodeo. 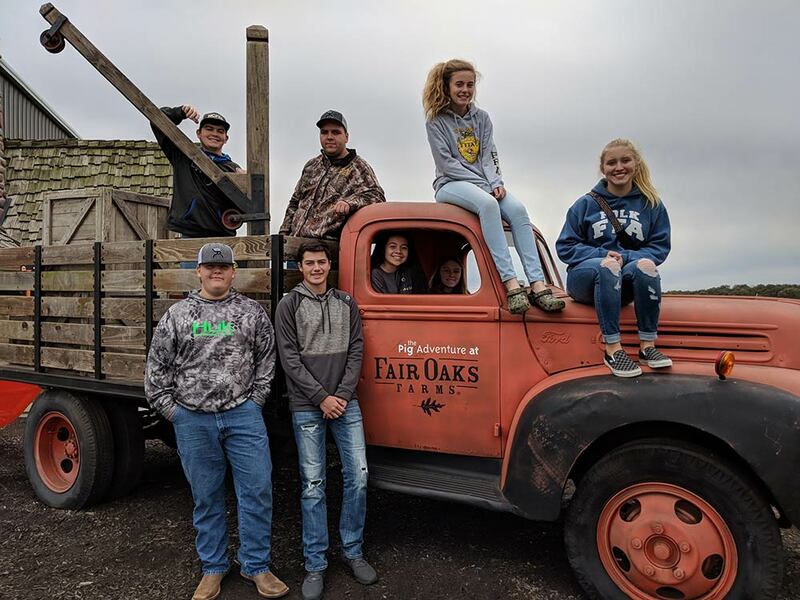 The students also received a tour and a meal at the nationally known Fair Oaks Farm located in Fair Oaks, Ind. 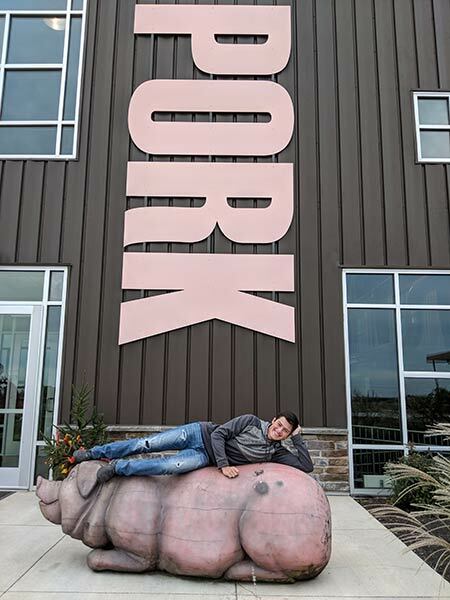 The FFA group extends special thanks to the Polk County Farm Bureau, Carolina Farm Credit, Stott’s Ford, Nelon-Cole Pest Control, Harmon Brothers Farm, McGuinn’s Store and the families of the students for making this trip possible.